Spring is the common period in which facility and construction project managers undertake building inspection and maintenance to fix issues caused by severe winter weather. In this article, we shall be outlining two elements of a building which require detailed examination following the winter months - Building Facades and Roofing. By acting in advance, you avoid the roll of the dice and the issue generating expensive structural work. Scaffolding systems facilitate efficient, convenient work and ensures the safety of passersby and workers. 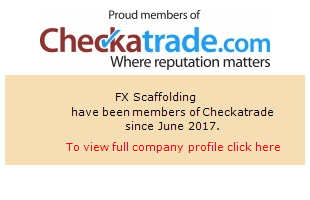 Careful planning, expert selection of scaffolding equipment and access points, weather-proof mounting and regular inspection are key elements with which the scaffolding erectors lay the foundation for safety on the construction site. The realization of working at height is a challenge for any construction site manager or engineer. Fortunately, there are scaffolding solutions that facilitate access and work procedures regardless of the size of the project and the scope of operations to be performed. To construct a building, the site manager must be able to rely on efficient and safe procedures during all phases of construction. Therefore, construction equipment must meet the highest safety standards and maintain a competitive price / quality ratio. In this regard, formwork scaffolding becomes the cornerstone of high and complex structures. Engineering is the integral study of a project. It is the precise method of analysis that determines the best way to perform work. In terms of scaffolding, engineering makes all the difference.